Conformal coatings by Humiseal. We are the exclusive distributor of Humiseal products in Israel, who specialized in conformal coating manufacturing. This single-minded focus enables Humiseal to work as a partner with their customers, developing products that are tailored to exact requirements. 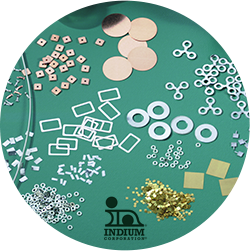 Solder pastes, fluxes, cored wires and solder pre forms by Indium company. Wires for wire bonding, ESD materials & equipment and adhesives by other vendors. CCL Design Israel’s material engineers and experts provide end-to-end guidance to our customers from the initial characterization phase through implementation, offering all the technical advice and support required in the process and supply the highest and most compatible material to the end-user.